As many of us know, baby prams can be storing grounds for food remnants, stains and spills, therefore encouraging the rapid growth of bacteria and creating an unhealthy environment for new-borns and toddlers. For parents, they want a clean and sanitised ride for their kids. However, many full-time working parents find it difficult to thoroughly clean nor have the expertise to dismantle the pram to clean hard-to-reach areas which are prone to trapping food bits and dirt. Moreover, such service was not readily available in the market. 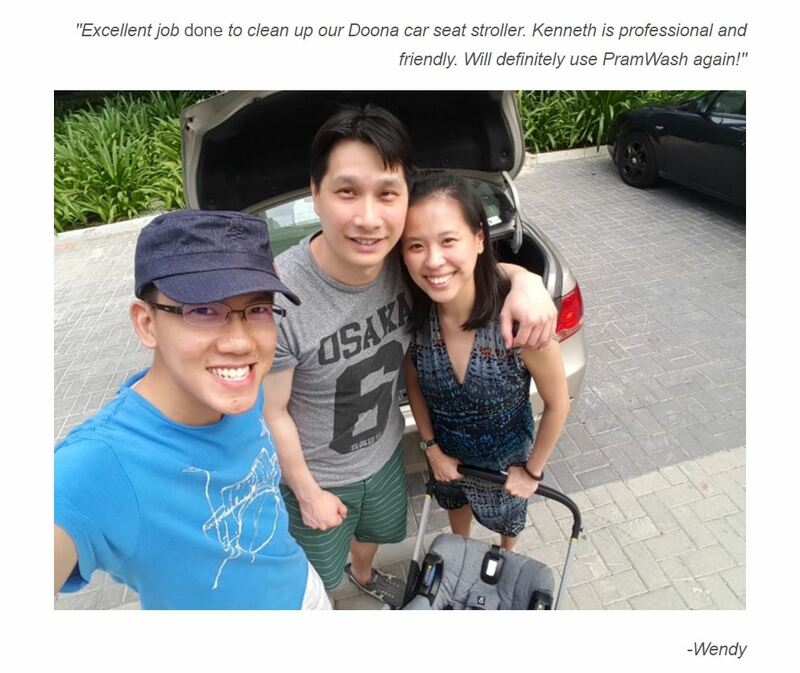 After speaking to many frustrated parents who echoed the same thoughts and sentiments, 2 Singaporeans, Kenneth and Shixian, launched Singapore’s first ever stroller cleaning service PramWash in September 2016. We wanted to provide a quick solution for them. We understood that parents nowadays are busy but they also want their kids to be in the best of health. 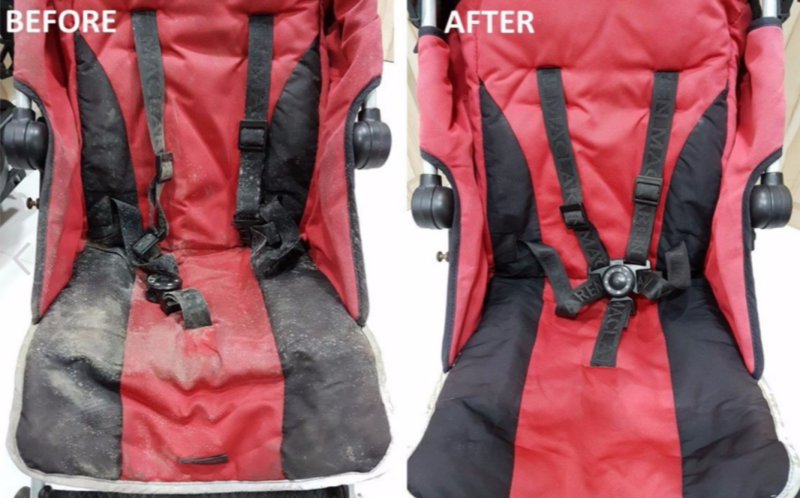 Starting at $60 for stroller cleaning, which is a mere fraction of a $700 stroller, it is a value for money service. They do cleaning for baby carriers and carrycots as well, starting at $25 and $40 per wash respectively. PramWash, which celebrates its first-year anniversary this September, commits towards providing high-quality and professional cleaning services of prams and other baby equipment. “We want parents to have a peace of mind and more time to enjoy the precious growing up moments of their little ones,” Kenneth shares. New parents can now be relieved of the chore, spend more time with their children and have a clean and bacteria-free ride for their bundles of joy. PramWash uses only products that are non-toxic, chemical-free and completely safe for children. Kenneth divides his time between PramWash and his day job in local bank, DBS. He oversees the daily operations, sales and marketing of the business, ensuring excellent customer service and the prompt delivery of sparkling clean prams back into customers’ hands. Shixian works full-time in finance and accounting in a shipping company and is fully in charge of the financial health of the business. However, there are always hurdles that a business inevitably has to overcome. One important challenge PramWash faced was educating parents on the importance of stroller and car seat hygiene, which many parents are unaware of. The homegrown start-up hopes to raise awareness on having a clean and hygienic ride for the well-being of children. Cost-efficient staffing was another issue the business faced. Initially, Kenneth found it difficult to find cost-effective, as well as the right manpower to do the cleaning. However, they were fortunate enough to engage full-time housewives seeking flexible part-time work that still allows them to get home in time for their children. Also, Kenneth admits it has been challenging to wear a few hats. 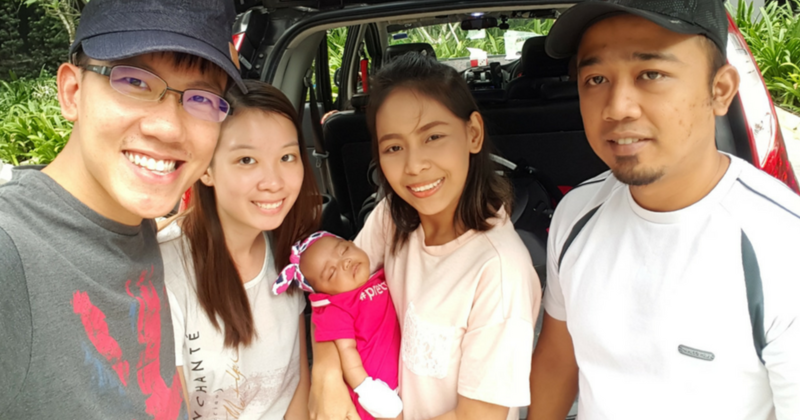 With a new-born baby in tow, he juggles multiple roles as a father, bank executive and entrepreneur and could no longer spend time irresponsibly. As a result, he maximises his time as much as possible, making it a point to head home at the end of his day at DBS to spend time with his son before he heads out for his evening appointment. They have also encountered their fair share of scepticism from people. There were even a few relatives who were not convinced about the potential of such a niche business. But Kenneth and Shixian did not let that stop them from their vision to deliver happiness to parents and children. It turned out to be a worthwhile venture as the business was well received. Kenneth prides their customer satisfaction as the biggest win for PramWash. So far, all customers raved about the service and have given their experience a 5-star rating in both Facebook and Google reviews. “If there is any business that truly wants the best for your child, it is PramWash,” Kenneth affirms. Kenneth has a few words for budding entrepreneurs: create a culture that is receptive to mistakes. An open culture with an emphasis on teamwork and knowledge sharing encourages staff to flag any problems quickly and resolve them together timely. This saves time and ensure customers receive prompt service. 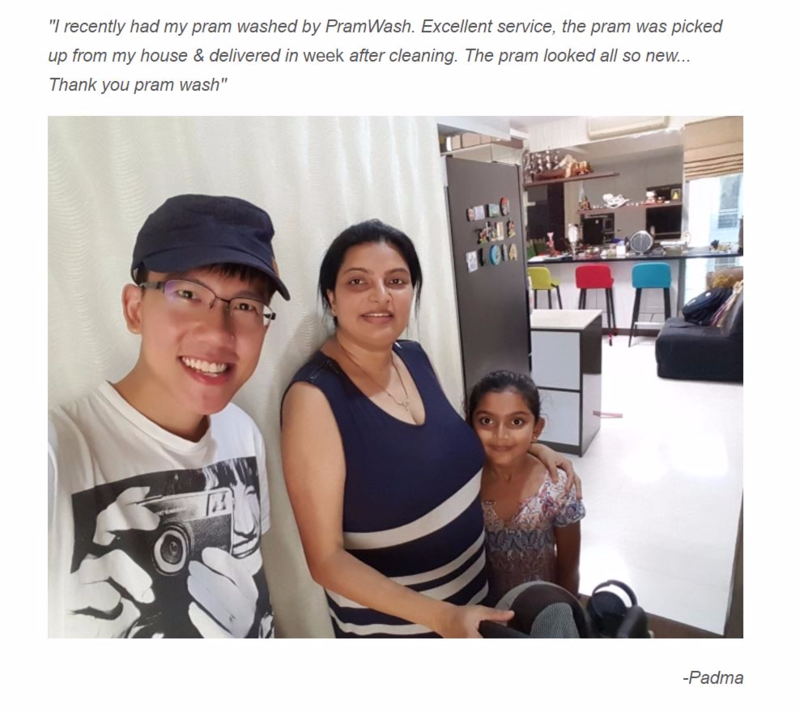 Locally, PramWash aims to be Singapore’s Number 1 Pram Cleaning Service and plans to set up operations in the Indonesian market, Jakarta first, by the end of 2017, as its first overseas venture. Eventually, they plan to expand to even more countries and help more parents with their pram-blems. Interested? Check out www.PramWash.com to book your first appointment with them!